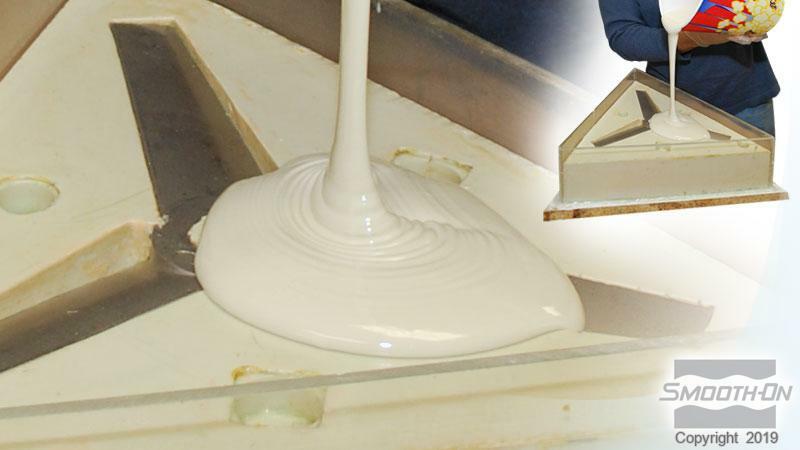 EpoxAcast™ 670 HT Product Information | Smooth-On, Inc. Specific Volume 20.51 cu. in./lb. EpoxAcast™ 670 HT (formerly 20-136) is an epoxy casting compound which offers high heat resistance up to 350° F/177° C if post cure schedule is used. 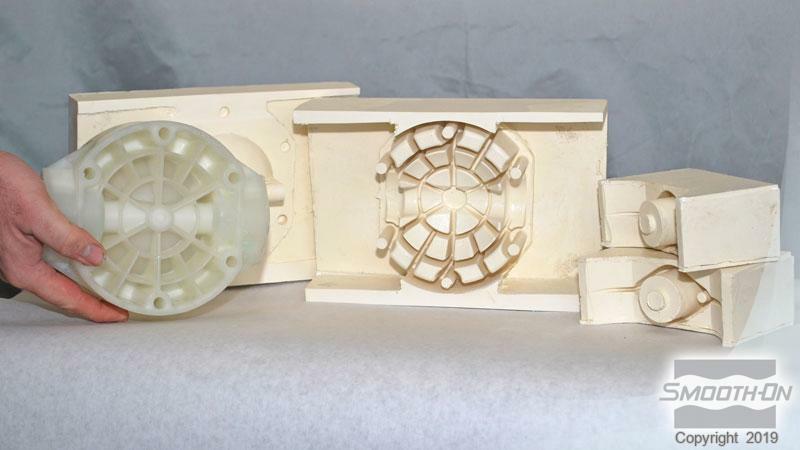 EpoxAcast™ 670 HT is ideal for making vacuum form molds, foundry patterns, forming dies & fixtures, hard rollers, industrial parts and high impact tools. EpoxAcast™ 670 HT is also suitable for encapsulation applications or for use as a high temperature epoxy for bonding a variety of surfaces. 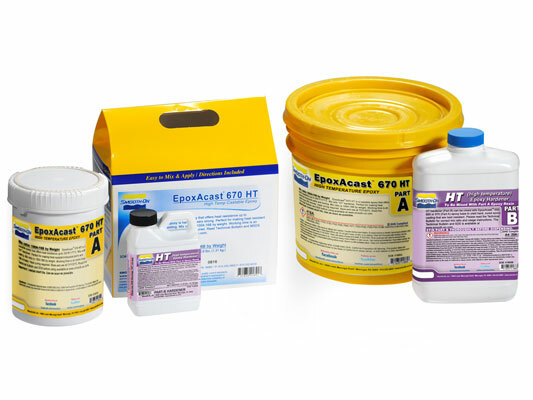 EpoxAcast™ 670 HT features a relatively low viscosity that ensures minimal bubble entrapment. EpoxAcast™ 670 HT also offers an extra long working time of 3 hours. 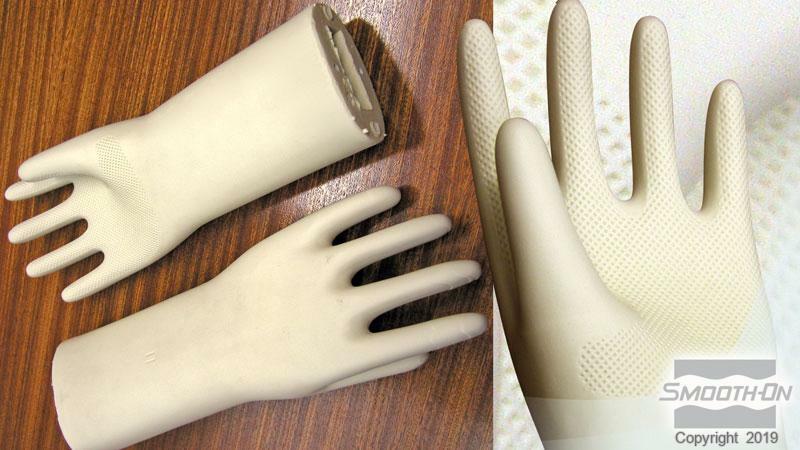 Castings cure with negligible shrinkage and are very hard, very strong and heat resistant. Materials should be stored and used in a room temperature environment (73°F/23°C). Elevated temperatures will reduce pot life. EpoxAcast™ 670 HT Resin and Hardener must be properly measured and thoroughly mixed to achieve full, highstrength, solid-cure properties. Mixing containers should have straight sides and a flat bottom. Mixing sticks should be flat and stiff with defined edges for scraping the sides and bottom of your mixing container. Because no two applications are quite the same, a small test application to determine suitability for your project is recommended if performance of this material is in question. Measuring / Dispensing – Stir Part B thoroughly before dispensing. Accurate measurement by weight is required for the material to cure properly and develop full physical properties. Dispense Parts A and B in proper proportions into clean plastic, metal or wax-free paper containers. You must use an accurate digital gram scale to weigh Parts A and B properly. 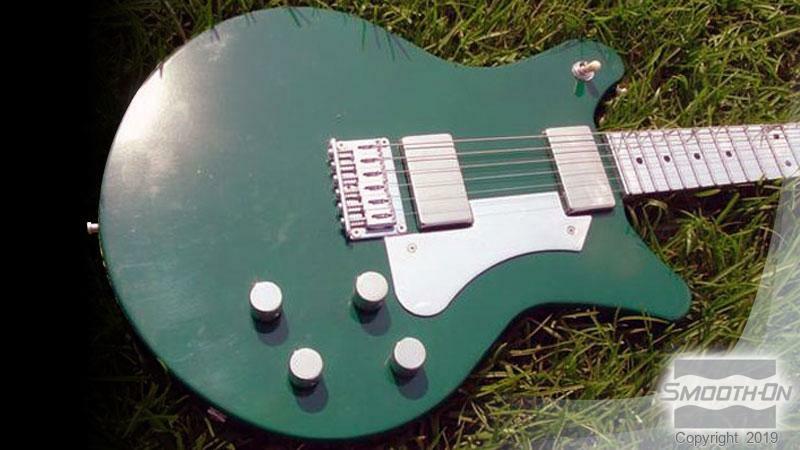 Do not use an analog scale or attempt to measure components by volume. Adding Color & Fillers - EpoxAcast™ 670 HT can be colored with UVO™ or IGNITE™ colorants (from Smooth-On). Pre-mix colorant with Part A thoroughly and then add Part B. A variety of dry fillers can also be added. Pre-mix dry filler with Part A before adding Part B.
Vacuuming - EpoxAcast™ 670 HT is low in viscosity compared to other epoxy cating systems and does not require vacuum degassing. If you choose to vacuum the material, subject mixture to 29 h.i.g. mercury in a vacuum chamber until mixture rises, breaks and falls. Allow for 5 times volume expansion in mixing container. 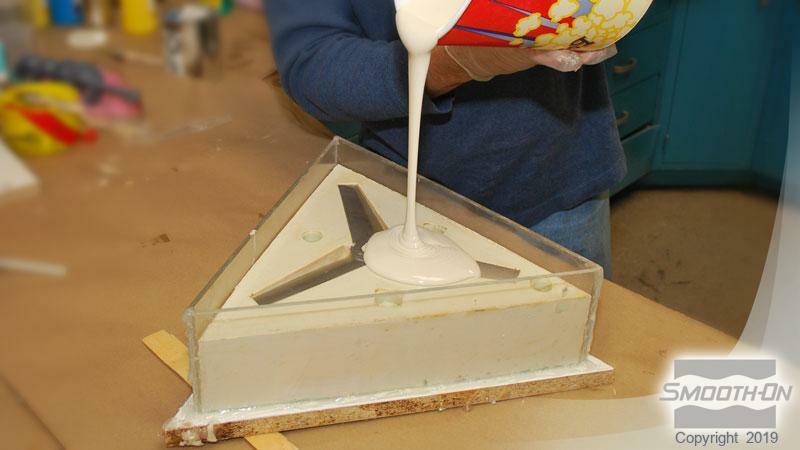 Pouring – If casting EpoxAcast™ 670 HT into a rubber mold, pour mixture in a single spot at the lowest point of the mold. Let the mixture seek its own level. A uniform flow will help minimize entrapped air. Heat Curing - For best results, EpoxAcast™ 670 HT should be heat cured in a dedicated industrial oven. Cure at 175° F / 80° C for two hours, followed by three hours at 300° F / 150° C. Allow material to cool to room temperature before use. Painting – Cured EpoxAcast™ 670 HT can be painted or primed and then painted with acrylic enamel paints. Let paint fully dry before putting part into service.